Larmel Industry Corp manufactures and distribute high quality pool, spa, and janitorial chemicals and supplies. We specialize in serving institutions, factories, hospitals, hotels/motels, oil companies, camps, schools, apartment buildings . . . and the general public. We have been meeting the needs of our customers since 1986. Stay at home! We now come to you instead of you leaving your house, at no additional charge. 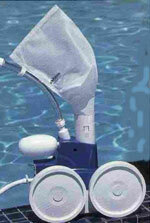 Swimming Pool Chemicals & Supplies - Insecticides - and more!! !